While hiking in Sylvania Wilderness, my boyfriend and I discovered a fascinating tree stump. 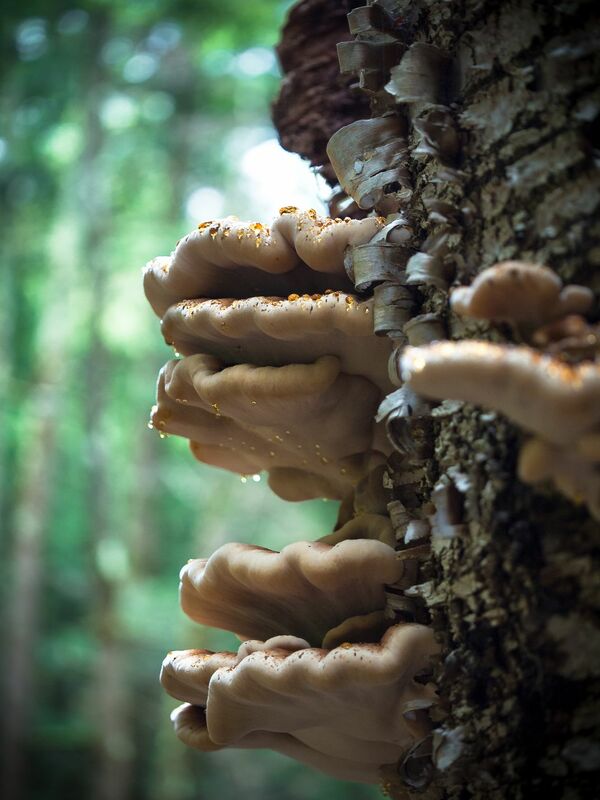 It was covered in beautiful fungus, which had a coating of a syrupy looking substance. They reminded me of giant, fluffy pancakes which were covered in syrup.